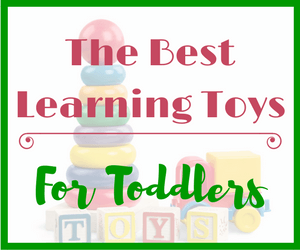 The Best Learning Toys For 2 Year Old’s May Not Be What You Think! 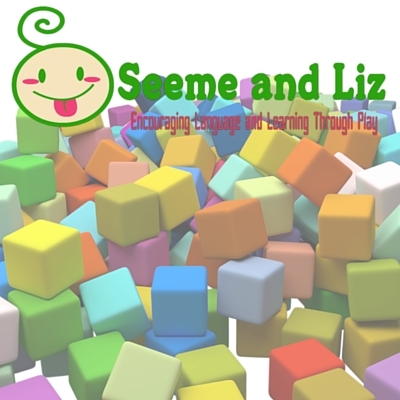 Seeme & Liz > The Best Learning Toys For 2 Year Old’s May Not Be What You Think! As I mentioned in the Best Learning Toys For Babies article, the purpose of the “Best Learning Toys” series is to help you choose toys that will engage your child and help him/her learn language skills through play. The toys presented are in no particular order and are not made by a specific toy company. They are general categories such as blocks, vehicles, etc. 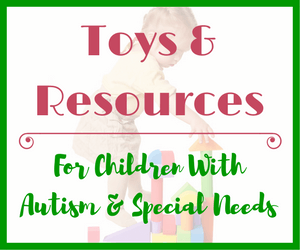 I will give you ideas for how you and your child can play with these toys to enhance learning. When I talk about “learning” I am not referring to academic skills. Rather, I am providing you with ways to enhance speech and language development, fine and gross motor skills, problem solving, etc. All of these toys were pretty standard in my speech and language therapy sessions with 2 year old’s! Although I don’t mention it for each description, all of these toys are outstanding for pretend play. 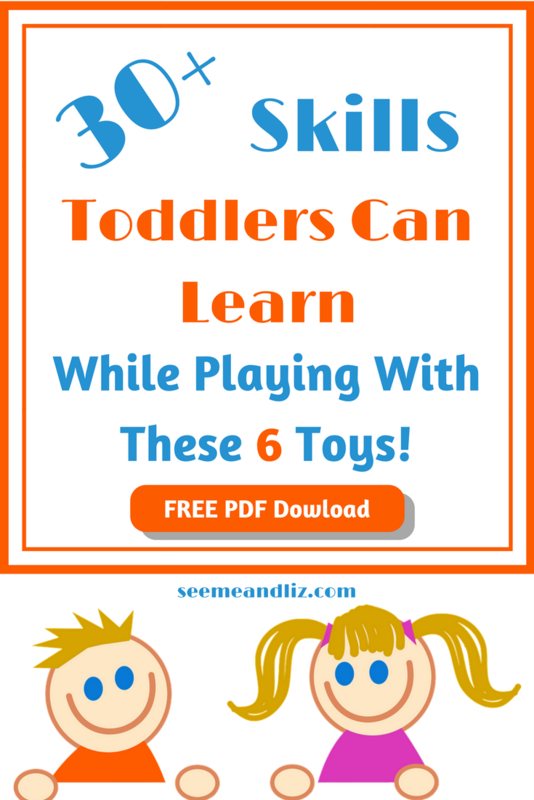 6 Amazing Learning Toys For Toddlers! There may only be 6 toys in this list, but it’s packed with skills that can be developed by playing with these toys. There is a lot of information to remember. So I’ve converted this article into a PDF file for you to download, print and share! Blocks should be a staple in every child’s toy box. My children who are now 8 and 10 still love blocks. Although they have now advanced to LEGO, they started with basic blocks. They actually had several sets, some plastic (like Mega Bloks) and some wooden ones (Melissa and Doug have some good wooden sets that don’t cost a fortune). From a learning perspective, blocks of different sizes (and shapes, if wooden) are best because there are many building opportunities. You can also get cube style blocks with pictures, letters and/or numbers. While these are good for targeting vocabulary, they aren’t quite as good for building. Talk about what you are building. For example, maybe you are making a house. Use the word “house” frequently and also talk about what you might find in a house (rooms, chairs, beds, people, pets, doors, walls, roof, etc). Name the colors of the blocks. Most 2 year old’s are able to recognize a few colors and label 1-2. But remember, try not to test your child, keep the interactions natural! Some early prepositions that come up regularly during block play are “on” (put the red block on the green block), “off” (take one block off) and “on top” (Put the block on top). Other prepositions such as “in front, behind, under, over, beside/next to” may also come up. These however, are a bit advanced for a two year old. If you are using wooden blocks there is a good chance that they will have different shapes including squares, triangles, rectangles and cylinders (circle). Talk about the shapes while building. If your child wants to make a really tall tower, he will have to figure out how to make it stable as stacking one block on top of the next will cause it to fall down. Help your child figure out how to make it more stable by adding blocks on either side and then building up. Work with your child or a small group of children taking turns adding blocks to a creation. This will become more important as your child gets older. Count how many blocks you used to build your tower or whatever it is you created. Your child may count with you, but if she doesn’t do not worry about this. Continue to be a good language model for your child! A ride on vehicle is an excellent toy for a 2 year old and it will be one of those toys that you have around until your child is 4 or 5, or until you get sick of it or they can’t fit in it anymore. Although if they are like my children, one will sit on the roof while the other pushes when they can no longer fit inside! The plasma car is quite brilliant because children and adults can use it! So you don’t have to worry about your child outgrowing it after only a few years. If your child isn’t saying much, make up some sounds a car might make. For example, vroom, beep beep, eeeek, weeee, etc. Environmental sounds are noises that you would hear around you but said by a person. They usually contain early developing sounds such as “p, b, m, n, h, w, d” and are often easily imitated by a young child. Get “in” the car, get “out” of the car, there’s a book “on” the car, take the ball “off” the seat, park the car “beside” the wall. These are a few examples of how prepositions are used while playing with ride on vehicles. Give your toddler a few simple directions and see if she can follow them. For example, you could say “drive the car to the couch” or simply “stop the car, I see a red light!”. Don’t over complicate the directions. Make sure that when you are giving directions they are still part of natural play. Children will need to use their hands to open the door and their feet to move the car forward. Many cars come with a plastic key that you can turn in the ignition. This will require the use of their fingers. As your child get’s older you will find that the way she play’s with a ride on vehicle gets more creative. For example, a 2 year old will most likely do one or all of the following: “drive” back and forth, open and close the door or get in and out of the car numerous times. An older child however, will come up with more elaborate scenarios. If your older child needs some ideas for how to incorporate a ride on car into play you could suggest: drive to the store and go shopping, drive around and have the car break down, have the car turn into a time machine or spaceship, etc. This will happen more with children between 3 and 4 than it will with 2 year old’s. When playing out a pretend scenario such as one of the one’s I mentioned in the previous section, there are many opportunities for problem solving. Problem solving can also occur when when more than one child is playing with a vehicle as they will need to figure out who gets a turn first, where they are going to go with the car, or should the car be something other than a car. As you can see, a ride on vehicle is so much more than a toy a child can “drive” around! Did you know that Mr. Potato head was invented in 1949 by a man named George Lerner? The toy was then manufactured and marketed by Hasbro beginning in 1952! This is such a simple toy with a long history and it is definitely a childhood favorite. If you get a Mr. Potato head for your 2 year old, keep it around for a few more years. It is another toy that will get a lot of use. Talk about the various body parts as you are assembling Mr. Potato head (eyes, nose, arms/hands, feet, ears). When talking about a body part your child might not be familiar with, make sure you talk about where on your and his body that part is. Many Mr. and Mrs. Potato Head dolls also come with accessories such as hats, purses, glasses, etc. Label these items and tell your child where they go. For example “let’s put the hat on his head”. You can also get theme based Mr. Potato Heads such as Star Wars. For a 2 year old, I would stick with the neutral Mr. and Mrs. Potato Head. He,she, his and her can be targeted while playing with either Mr. or Mrs. Potato Head. Keep in mind this is more appropriate for a child 3 and older. I wouldn’t expect a 2 year old to know pronouns. But, this shouldn’t stop you from using these words. The more your child hears proper grammar and pronoun usage the better likelihood that she will use these terms herself when she is ready. These concepts are for older children, not necessarily a 2 year old. However, you can still talk about how something might be “in front of” or “behind” Mr. Potato Head. In front and behind can be hard to teach as well as learn for some children. Many objects do not have a distinct front and back so a child must know whose perspective they are taking with “in front” and “behind”. But, if you are using Mr. Potato Head, or any other doll/stuffed animal, there is a front and a back so it doesn’t matter where the child is in relation to Mr. Potato Head. Some Mr. and Mrs. Potato Head dolls come with a few different eyes, noses and mouths of varying expressions. You can also purchase separate body parts packs. When putting Mr. Potato Head Together talk about how he might be feeling based on the body parts selected. You could even ask your child “show me your happy/sad/mad/silly face”. It can actually be pretty tricky to get the body parts into the holes. At first it will probably be easier for your child to pull them out after you have put them in. Equally as tough as getting the body parts into the holes is finding the small end of the body part and then matching it up with one of the holes on Mr. Potato Head. Mr./Mrs. Potato Head is another toy that you can have around for several years. The way you and your child interact with it will change depending on your child’s age. I love puzzles for toddlers! Another must have toy for a 2 year old. Most chunky puzzles for toddlers are theme based (farm, pets, zoo, vehicles, construction, forest, tools, bugs, etc.). Label each puzzle piece as your child is exploring them. For example, “Where is the cow, do you see the cow? “In” and “out” can be focused on with these as well. For example, “Let’s take the cow out” or “Let’s put the cow “in”. It can be tricky for some children to pick up a puzzle piece and release it into the correct spot. Playing with chunky puzzles is a wonderful way to practice this skill. By finding a puzzle piece and then locating the matching cutout a child is working on hand/eye coordination. Take turns finding a puzzle piece to put into the puzzle. Use words such as “my turn” and “your turn”. I could give many more examples of activities you can do with a chunky puzzle, but I have written an entire article on that subject! It’s unfortunate that dolls are marketed to girls. Even if you have a boy, get him a doll. 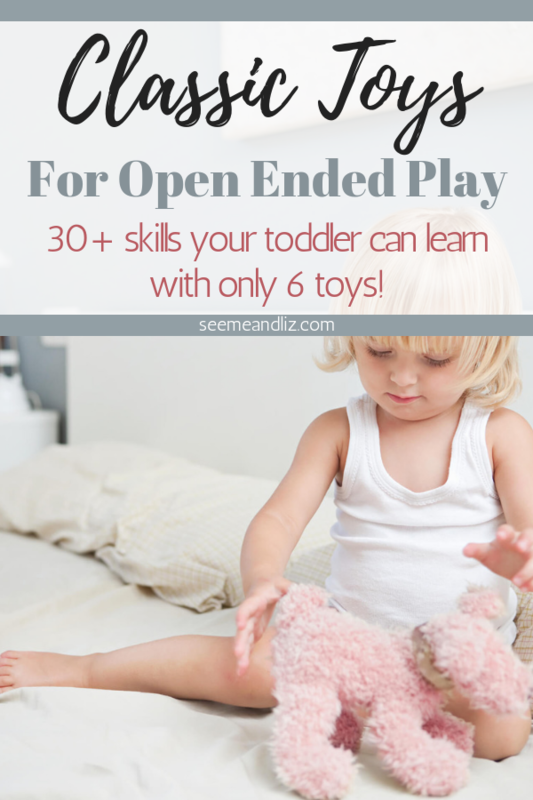 So much pretend play and language can happen with a doll (or a few of them). A doll is another toy that your child will have for many years. However, not all children will want to play with dolls. My daughter was one of them. She preferred her stuffed animals when given the choice. My son on the other hand loved pushing dolls around in a stroller. But when my daughter turned 8 she suddenly started playing with dolls. Now at 10 years old, she is still playing with them everyday! This list can get quite extensive depending on what you are doing with the doll, but the doll itself has many vocabulary words you can talk about. For example, body parts, clothing and actions. Talk about where the doll could go. Some early prepositions are: in, on, under, out, off. For example, the doll can sit on a chair. The doll can hide under the bed. As I mentioned in The Best Learning Toys For Babies article when I was discussing stuffed animals, dolls can be use in pretend play scenarios. You can pretend it is bed time and go through a bedtime routine. The doll may need to put pajamas on and get tucked in to bed. Or maybe the doll needs a bath (you don’t need to use water, just pretend). Incorporate vocabulary words while giving the doll a bath. If you find that your child really enjoys playing with dolls, there are many accessories you can add such as a bed, stroller, bath tub, play food, carseat, etc. to extend the pretend play possibilities. Tailor your questions to your child’s language level. If your child is learning body parts ask questions such as “where is baby’s nose?”. A toy farm playset was one of the first toys I purchased when I started working as a Speech-Language Pathologist. This is one of the most versatile toys. I finally packed ours away and my children were not to happy about it. Label all of the animals as well as the sound that each animal makes. Did you know that animal sounds can be counted as words for toddlers? As long as your child is making the correct animal sound for the corresponding animal and does so on a regular basis, it is technically a word. So every time your child sees a cow (real, picture or toy) and says “moo”, you can count that as a word in his vocabulary. However, make sure you are always using the real word so he hears it many times. Soon enough, “moo” will become “cow”. If your toy farm comes with other accessories such as a farmer, tractor, fences, etc, label these as well. In, out, under and on are some early prepositions that you can target when playing with a toy farm. Have an animal go “in” the barn. The farmer could get “on” the tractor. You get the idea. Opposites such as big/little, fast/slow. Find all the big animals and put them on one side of the farm. Then get all of the small animals and put them on the other side. Ask your child some questions while you are playing. For example, “where is the horse?”, “what does the duck say?”, “what is the cow eating?”. Keep the questions simple and incorporate them into natural play. Your child may ignore you. This is ok. You can answer the question for your child. She may be ignoring you because she doesn’t know the answer or because she is busy playing. Which Is The Best Toy From An Educational Perspective? Hopefully you weren’t expecting a long list of toys. There is a lot of information here for only 6 toys. However, these are the best learning toys for 2 year old’s to facilitate language development and learning. One isn’t better than another. As you can see there are many similarities among what can be learned with these toys. Try to think of other toys you have for your child, could you use them in some of the ways I have described? Do you feel that there are some important toys I have missed? Please share your thoughts in the comments below. If you have made it to the end then make sure to download this article as a PDF file as it will be difficult to remember all of the language development and learning tips. Grab your copy below! What a thorough article. Despite only having a few toys on your list of the best learning toys for 2 year old’s, the one thing I really admire about your selection is that they are educational. That is what makes them great value as a two in one. Your kids can have fun and learn stuff at the exact same time. I also think it’s great that you explain why these toys are great for both boys and girls. Especially the dolls. I didn’t realize how much a child can learn playing with dolls. This is definitely something boys need to play with as well. Do you have any children and do any of your own children have these toys? I do have 2 children and when they were younger (they are 8 and 10 now) they owned all of the toys on this list. I also used these toys in my speech therapy sessions on a regular basis. You can read more about me and my background here. What an AWESOME website. My daughter is one year old. I agree with you. I especially love the BLOCKS. Hey they’re fun, plus you get to teach them all about shapes and colors, and they get to work on their coordination! I also love the blocks with letters. My daughter Jane get’s a kick out of it when I spell things out for her. It’s so sweet! Blocks are a wonderful toy and something that can be played with for years. My kids started with Mega Blocks and they also had some wooden alphabet blocks. But as soon as they were between 3 and 4 we introduced them to Lego. They were still a bit young (but not where we were worried about them eating the Lego. They weren’t doing that anymore) so it was my husband and I that were doing most of the building. But now they both love Lego and are always coming up with new things to build. This is a great article. I wish I had this information when my kids were young. 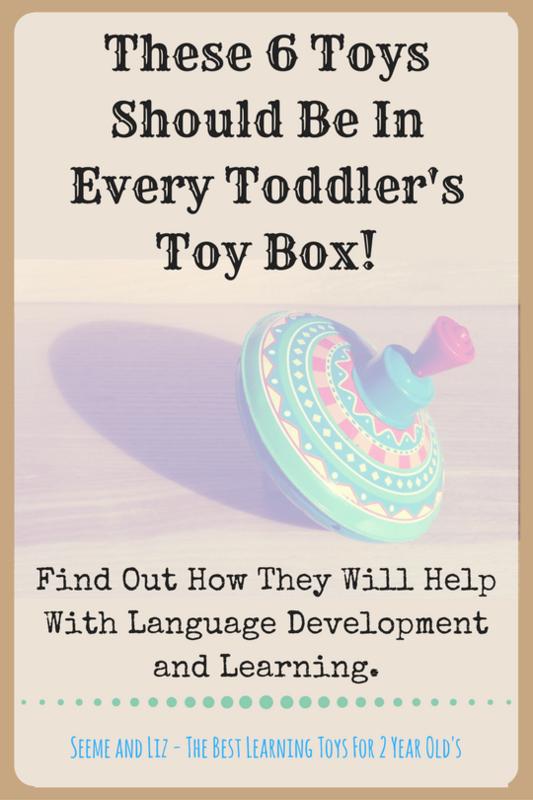 It’s hard for parents to know what the best toys are that will help with learning, language and other cognitive skills that are so important for their development. You did a fantastic job at explaining how to use several toys to help with everything from vocabulary to shapes and teamwork. 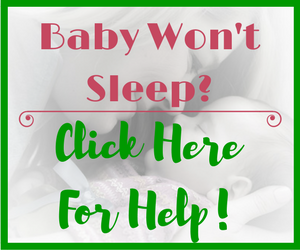 I know of several new moms who would benefit from your post and blog. I’m hoping to show parents that toys don’t need to be complicated for learning to occur! Thanks for sharing my site with your friends! I love these concepts and ideas. My girls like to pretend that they are driving to the salon, or to the grocery store, but we don’t have a ride-on car for them just yet due to space. I love how simple it is to incorporate learning into play, thanks for the reminders and suggestions. Ill be sure to do more of this with our little boy who is almost 2. If you have some cardboard boxes lying around you could suggest to your girls that they make a car out of cardboard! My kids love creating with cardboard. Sometimes it is more fun than what came inside the box! Thanks for your comment. Based on all of the comments I receive on my site I feel like I should write an article about the hidden secrets of toys. So many people don’t realize how much a child learns when playing with toys. A toy is so much more than a form of entertainment and a way to avoid boredom. However, having a child sit in front of a screen for hours on end is definitely entertainment, especially for young children. Wow, that is a good article. I didn’t know what you can do with some of these toys. Of course, I don’t need them at the moment, but I’ll be sure to remember to check this once I get surrounded with kids and kids toys. Loved the one about toy farm. I had that one as a kid and I thought about how I played with it, and what you talked about. Thanks for stopping by. The toy farm is a must have for all children. I too remember mine from when I was a child. I am pretty sure it was a Fisher Price Farm! I liked this article because I think it was both informative and easy to digest. I think its extremely crucial that very young children learn to interact and respond to things without the every parent go to – electronics like the iphone or ipad. I especially liked the part which gave examples of what sort of exercises we could practice with our children using the different toys. Thanks Lynn. I am glad that you found it simple to read. I do not want this information to overwhelm parents. 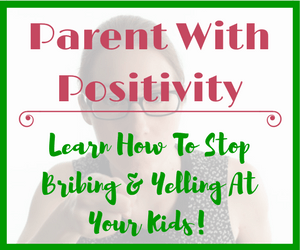 My goal is to show parents that parenting does not need to be difficult. Nowadays it seems like so many toys require batteries and are marketed as being able to “teach” young children. However, children learn best when they play. And parents can easily interact with their children during play based activities. Ohh Thanks for this site! I can definitely see how those toys can help my two year old little girl Lanna. Unfortunately toys like these are not so easily available in Thailand. You have really got me thinking about getting some and perhaps just donating them to the local kindergarten when she is too big for them. You are welcome Derek! Hopefully you will be able to find some of these toys in Thailand. It is wonderful that you plan to donate them to a local kindergarten. I am sure they will get a lot of use there. There’s no rule-book when it comes to parenting. My female friends all seem to panic when their children reach 2 years old. This is the type of comment that I hear frequently. Sending children to the best nursery possible takes away some of this pressure but the learning that a young child goes through at home, is critical to their development. Your post gives mothers practical, implementable ideas that they can use to stimulate learning. This was really informative post. You are correct. There is no rule book for parenting. Well, actually there are many (I even wrote one! – you can get it for free), but in the end you need to take from these books what works for you and your family. Some do share some great information! I recently wrote an article about daycare and preschool. You may want to pass it on to your friends. Parents seem to be becoming more and more fixated on their child’s academic skills at earlier ages. However, enrolling a 2 year old in “academic” programs will not benefit them. They need to learn through play and a parent is a child’s best educator in the early years (0-3)! I think this is a great website. Learning through play is such an overlooked aspect of the whole childhood developmental process. The toys, I think, would be engaging for a two year old and are a heck of a lot better than placing a youngster in front of a TV watching cartoons. I remember my toy ranch set, Mr. Potato Head, and toy blocks from chilhood so well, and they are my most treasured memories of playing as a child. 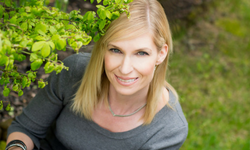 Keep up the good work with Seeme & Liz, Tanya! Thanks Jack! You are so right, learning through play is becoming more and more overlooked as technology becomes more popular. I am all for technological advances, however, a 2 year old will not benefit from this. There are some cases where technology can be helpful for young children, for example, a child with Autism. These children learn differently and technology can really help them. However, they also still need to be taught through play based learning. A typically developing child on the other hand, will learn best through play. Play based learning makes up the building blocks for skills required for future success. My personal favourite would of course be blocks! It has certainly evolved to Lego which is an advanced version of building anything you desire. However, I felt that Lego has commercialised their products too much & lost its touch in the creativity department. Wooden blocks are my favourites as they are of 1 color & it is totally up to the kids’ imagination on what they want the blocks to be. I agree Lee, blocks should be a staple in every child’s toy box! You can still get generic Lego that are not the commercialized themes such as Star Wars Lego. Basic wooden blocks are great, but so are the colored ones as you can introduce your child to primary colors (red, yellow, green, blue) that way. My children can spend hours building with their blocks. And cardboard. They love building with cardboard! Wow, this is an amazing article. What I really like about it is that you are promoting actual hands on toys. I think that although technology is important there is something about the screen time that could be detrimental. My son is three and one of his favorite toys are blocks. He loves to build things and doesn’t even want the TV on. 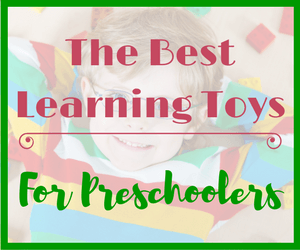 I am glad you enjoyed reading about the best learning toys for 2 year old’s. I am actually in the process of writing “the best learning toys for 3 year old’s”. I am sure you will find this one interesting for your son! If you have had the chance to read more of my articles, you will quickly find out that I am not a proponent of technology for young kids. They have more than enough time to learn with regards to electronics and technology. In my opinion I would much rather a 2 year old have a large vocabulary, know how to interact with others, use his imagination in play, etc. than be a whiz at swiping on an iPad. More and more studies are showing that children are struggling in school with reading and writing because they didn’t learn the foundation skills in their early years. There are also studies now being done that are finding that early exposure to WiFi and Electromagnetic Fields can cause harm to a child’s development.